Brazil and El Salvador face Fedex Field Stadium in a friendly game. Brazil came from a frustrated participation in the World Cup, where they were eliminated in the quarterfinals for Belgium or 2 to 1. 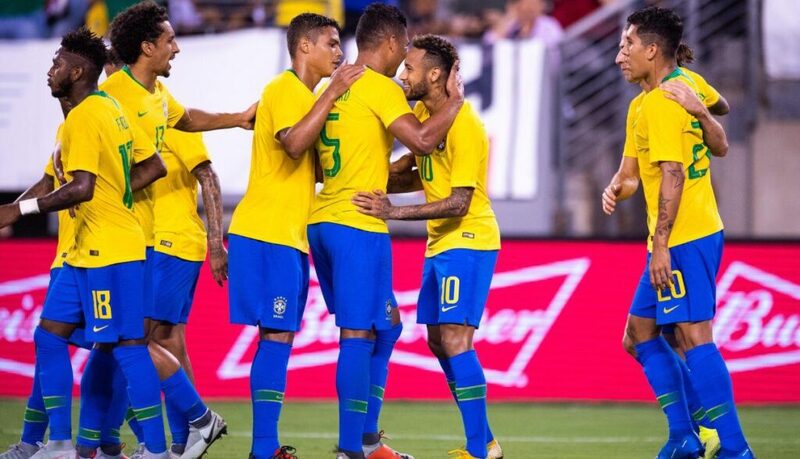 The team made a friendly against the United States, where they won 2-0, goals from Roberto Firmino and Neymar. The coach Tite must promote innumerable changes in the team in order to evaluate new players, such as Paquetá, Arthur, Dedé, Everton and Richarlison. Phillipe Coutinho, Firmino and Neymar should start on the bench. El Salvador did not go to the last World Cup, being eliminated nates of the Final Hexagonal. The coach Carlos De Los Cobos bet on a strong mark to avoid leaving thrashed by Brazil. The 2 clashes between the teams ended with the victory of Brazil, both by the score of 4 to 0. Brazil have won 4 of the last 5 matches. Having lost only against Belgium in the World Cup. El Salvador did not qualify for the CONCACAF Hexagonal Final, being eliminated in the fourth round, where they were last placed in Group A with 2 rwats and 4 losses. Brazil comes with the base that played the last Cup, with some new faces, with Paquetá, Arthur and Fabinho. The selection of El Salvador has no expression in football, not even within its continent. The game promises to be unbalanced in favor of Brazil, who must score many goals in a weak defense of the Central American team. Brazil scores more than 2.5 goals!